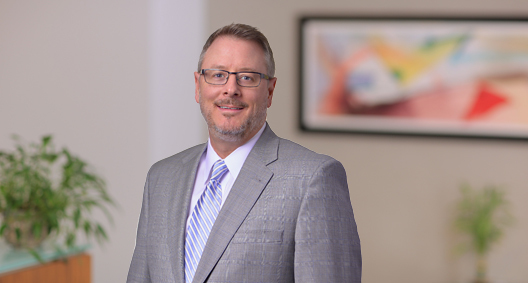 Tim Casey is a multidisciplinary intellectual property and technology law attorney who often acts as a one-stop IP shop for his clients, typically small to midsize companies, by serving as their general counsel or IP/technology counsel. His practice also includes patent opinion, preparation, prosecution and monetization, strategic planning, and privacy, as well as trademark preparation, prosecution and enforcement for companies from startups to small businesses to large, global corporations. Additionally, he manages corporate due diligence support and technology transactional agreements. Prior to entering private practice, Tim spent his career creating and managing technology and intellectual property, then monetizing that technology and IP, whether through license, sale or litigation. After more than a decade in-house in Silicon Valley and Washington, D.C., at technology companies; five years managing the IP and technology law department of a Wall Street firm, handling very large corporate transactions, licenses and patent litigations; and seven years co-founding and co-running an IP-focused startup business services firm, he now represents clients across all these areas. Tim has written and prosecuted thousands of patents worldwide across technologies such as electrical/electronics, computer science, mechanical, physics and industrial. He has written business and technology contracts for companies ranging from entrepreneurial startups to Fortune 500 companies. Tim has registered trademarks and copyrights for individuals and companies and managed portfolios of 10,000 or more trademarks and many thousands of copyright registrations. He has advised individuals on how to license and/or litigate single patents and managed litigations of large portfolios involving hundreds of millions of dollars in damages. He has advised clients on privacy, internet and strategic issues and helped negotiate the language in U.S. and European legislation, as well as global treaties. Tim serves as a guest lecturer at Carnegie Mellon University, Santa Clara University, UC Berkeley, University of Nevada, Reno, and a number of other colleges and universities. Provides IP and technology transactional support to a large number of companies in North America, Europe and Asia in a wide range of industries including software, electronics, consumer products, gaming, medical devices, semiconductors, telecommunications, services, chemical/cleantech and manufacturing. Drafted and negotiated research and consortium agreements involving dozens of academic institutions. Played a leading role in the establishment of Apple's patent program, as one of the company’s first patent attorneys, including creation of its incentive program, invention disclosure and processing operation, IP database and management program, and patent licensing operations. Initiated the effort to protect software and user interface technology, resulting in licensing revenue in excess of $100 million. Co-inventor, U.S. Patent No. 6,556,662, issued April 29, 2003, titled "Method and Apparatus for Providing Dialed Number Verification." This patent is now owned by Verizon. Identified buyers and negotiated the sale of patent portfolios on behalf of a number of clients. Managed IP and transactional due diligence in support of a number of public and private commercial transactions. Prepared licensing, confidentiality, procurement, development, outsourcing, sales, distribution, alliance and other types of software, communication or service agreements and privacy policies for numerous clients. Successfully defended two separate ex parte reexaminations leading to a very positive settlement of patent litigation on behalf of the patent owner. Managing the defense of a patent opposition in Germany. Successfully opposed trademark registrations in the U.S. and Europe on behalf of a number of clients' marks. Created the strategy behind the development of a portfolio of a large number of patents, including the successful submission of a nearly 3,000-page swear-behind declaration. Represented numerous smaller companies opposing legislation leading to the America Invents Act of 2011 and played a significant role in preventing the legislation from being voted on in the Senate in 2010. Served as one of the earliest WIPO domain name dispute resolution services panelists, deciding more than 60 disputes since 2000. Represented a surveillance company in trademark battle. Obtained a successful outcome for the client through a worldwide settlement agreement and created a plan for continued protection of the client's trademarks as the company and its IP portfolio grow. Created IP and technology transactions programs at a computer hardware and software company, including IP training and marketing materials, unique incentive and trade secret programs, a profitable IP licensing program, and a database and management program that was subsequently licensed to a commercial provider. Created an IP/tech department for a major telecommunications company, resulting in hundreds of issued patents; more than a thousand newly pending applications; a 60 percent reduction in trademark expenses while increasing the strength of the company’s portfolio worldwide; an integrated, corporate-wide procurement operation; and a licensing and litigation strategy that saved the company more than $700 million and resulted in hundreds of millions of dollars in revenue. Co-founded the IP operations of a novel IP and business development firm called SilverSky Group and ran the group for nearly eight years, gaining unique insight as to what it is like for clients to start and run their own businesses. Developed and introduced the concept of "notice and take down" as a statutory solution to copyright infringement over the internet within the U.S., and led a policy team supporting inclusion of the concept in the DMCA and globally through the EU's E-Commerce Directive. Initiated a licensing and litigation program, including acquisition of the right to license/enforce the Katz patent portfolio with respect to a major telecommunications company, resulting in successful settlement of related litigation. The Katz license was the first of its kind and is now known in the industry as the "Hunting License." Co-inventor, U.S. Patent Nos. 7,424,447, issued September 9, 2008; 7,848,962, issued December 7, 2010; 8,135,629, issued March 13, 2012; and 8,484,090, issued July 9, 2013, all titled "List-Based Selection System and Methods for Using Same." These four patents are now owned by Google. U.S. Application No. 13/923,360 remains pending. Co-inventor, U.S. Patent Application No. 12/621,475, filed November 18, 2009, titled "Non-invasive Weight and Performance Management" (allowed). Managed a team of attorneys within the Senior Lawyers Project to support the Clinton Foundation's effort to modify the intellectual property laws of numerous Caribbean nations to enable them to import and distribute generic antiretroviral drugs to HIV/AIDS patients without violating GATT provisions.